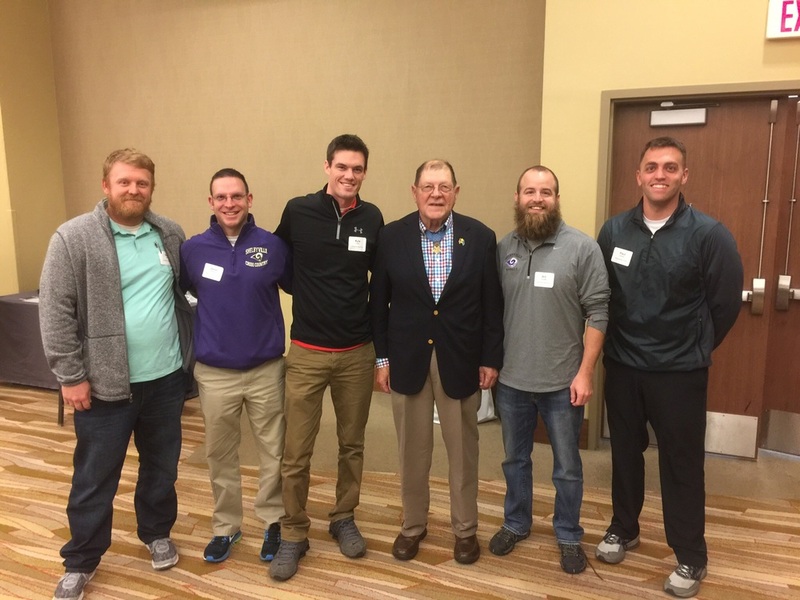 6-12 Social Studies teachers in the Shelbyville School District attend Medal of Honor Character Education Conference. Seek to apply the six core values of service above self to the social science curriculum. Courage, Sacrifice, Patriotism, Citizenship, Integrity, and Commitment. Pictured left to right are: Sam Mehl, Jason Palmer, Kyle Ladd, Harold Fritz, Billy Duckett, Paul Conlon. Harold Fritz is a Medal of Honor recipient.